Right now you can get this Columbia Women's Mystery 1/2 Zip Fleece 3-Pack for ONLY $45 Shipped (Retail $135) with promo code PZY45 at checkout. The highest quality Fleeces, Columbia has to offer! Get a 3-pack of assorted fleeces for yourself or get them as a gift for a family member or friend that likes looking good. 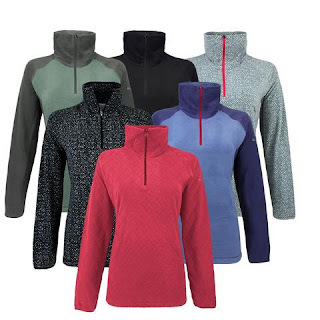 Styles may include include Arctic Air, Diamond Print, Glacial Fleece III and many more! Three fleeces for the price of one!